A sudden thunderstorm blew into town yesterday afternoon. It featured strong winds, heavy rain and cloud to ground lightning. It roared and rumbled for about a half hour before slowly moving to the east. Since it hit at the same time my dog was expecting his walk, I took him out as soon as the rain let up. We took our usual route by the creek that borders the local park. 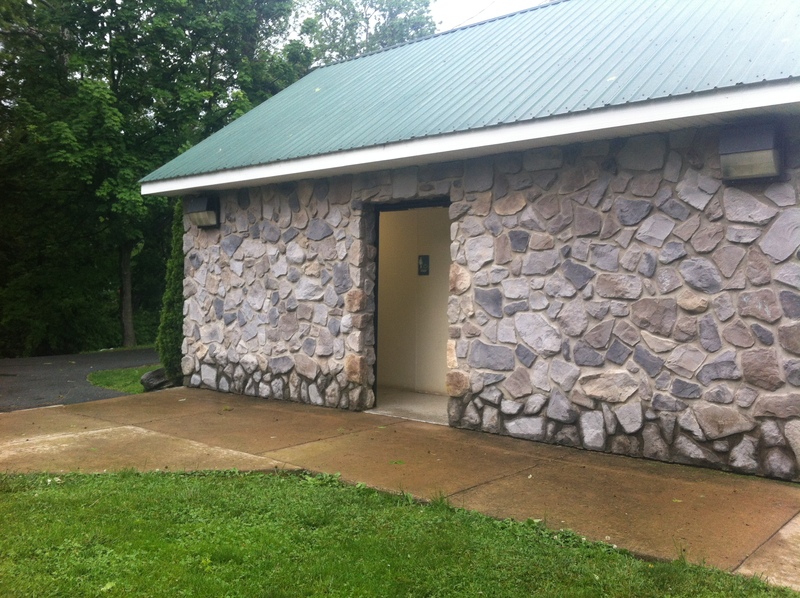 and as we walked by the stone restroom, I heard a strange noise. At first, I wasn’t sure if I was listening to a person in agony or something more sinister. Rodney, my dog, stopped and listened too. Then he actually tried to enter the restroom. That’s when I realized the noise was from a goose that had apparently wandered into the small building during the storm. At least that’s what I deduced, and considering the dog on the end of the leash in my hand, I made no attempt to test my theory or see if the supposed goose was alright. When we walked by on our way back, neither Rodney nor I heard any more strange noises, so I imagine the goose,or whatever was making that noise, found its way out. The whole situation was so odd, I smiled the rest of the way home. Posted on May 28, 2014, in My life, perspective and tagged 365 reasons to smile, funny situations, geese, goof, life, musings, perspective, smiles, storms, Thoughts. Bookmark the permalink. Leave a comment.